The 15m StratoSphere is another mid-sized StratoSphere, making it extremely flexible and great for all kinds of events. Its 3 way door alignment makes for easy access and can be specified with either revolve or airlock doors. With an internal floor space of 128m², the 15m is a highly versatile venue space, with transformations including immersive exhibition spaces and even weddings. 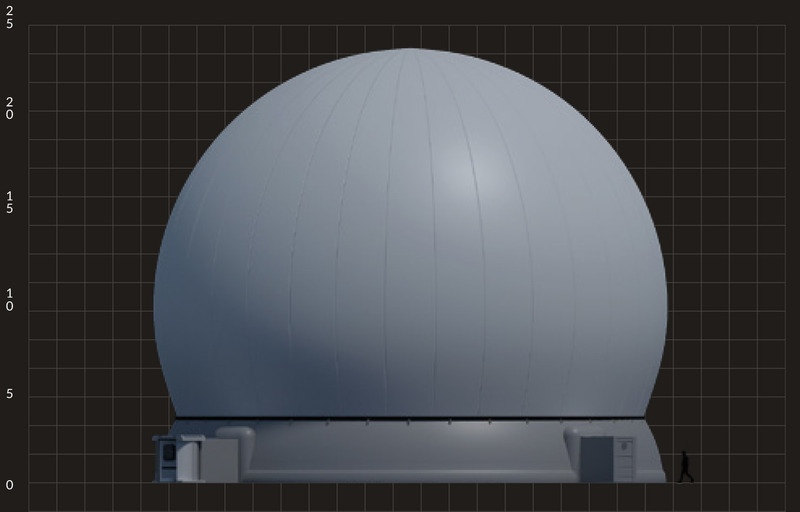 As with all the StratoSpheres, the projection dome can be used for many different video applications, such as presentations, movies or educational displays; the StratoSphere really is a multi-purpose, immersive and totally unique environment.